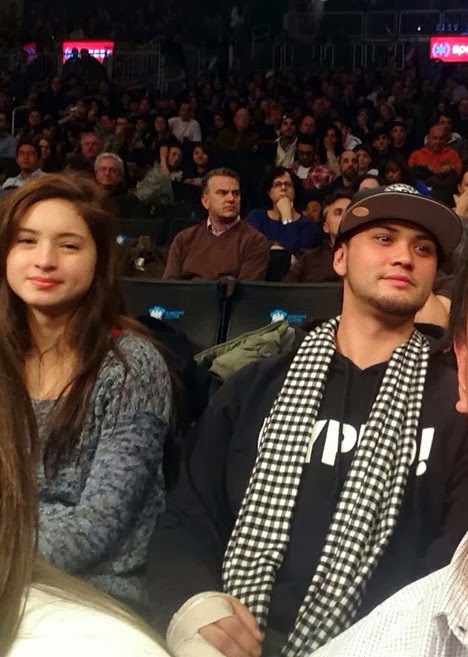 A photo of Coleen Garcia and Billy Crawford allegedly watching an NBA game in the United States last month is circulating online. The viral photo first appeared early this month on the showbiz and gossip site Fashion Pulis. According to the blog post, the two “It’s Showtime” mainstays watched a basketball game between the Brooklyn Nets and Milwaukee Bucks at Barclays Arena in New York which reportedly took place on December 27. There were rumors that Billy and Coleen spent Christmas together in America and the intriguing photo apparently proves the real score between them. In past interviews, the Kapamilya hosts denied rumors linking them to each other. Both also refuted speculations that they are in a romantic relationship. Last year, Coleen Garcia and Billy Crawford were caught on cam hanging out together in a bar.